From strategic conferences, to interactive webinars, Green Markets events deliver industry intelligence that help you make informed decisions. Each themed event is designed to provide the most current information on industry trends and fertilizer pricing, while also creating an environment for ideal networking opportunities. 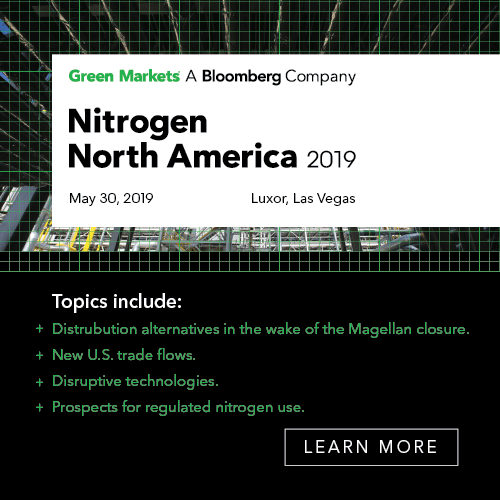 From current details on fertilizer supply and demand to production cost curve analysis, Green Markets research on the primary N-P-K nutrient categories gives you the detailed fertilizer market data you need for strategic planning, competitor assessment, and price forecasting. Get the specific analysis, price forecasting and competitive intelligence you need. This detailed research identifies current fertilizer market conditions, as well as the potential drivers of change – including overviews of global fertilizer markets, historical and forecast production data, forecasted consumption levels and benchmark pricing. Uncover new opportunities in targeted fertilizer markets. To learn more, contact Lisa Robel. Call +1.603.357.8181 or email lrobel@green-markets.com.